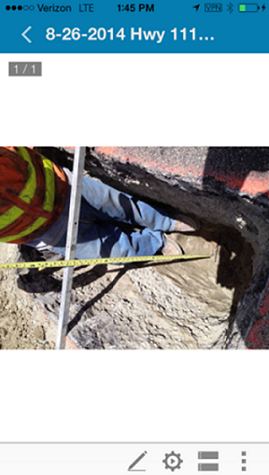 The Indio Water Authority’s engineering department spends a great deal of time on improvement projects around the city. 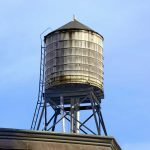 This can range from residential leak inspections to capital improvement projects like repaving roads. 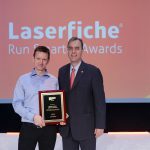 Here is how Laserfiche helps with processing work orders and managing capital improvement project inspections. Customer service work orders are generated in the Work Order system. 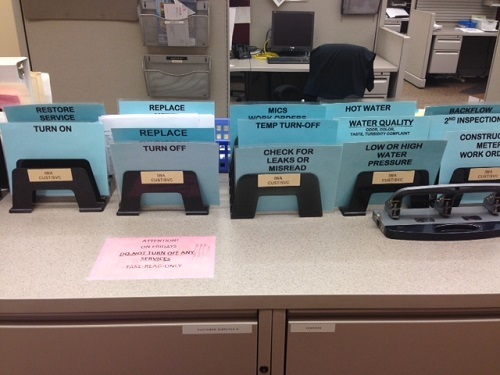 Before Laserfiche, they were printed out and filed in a designated filing area by work order type. Staff spent an estimated 20% of their time filing and searching for these documents. 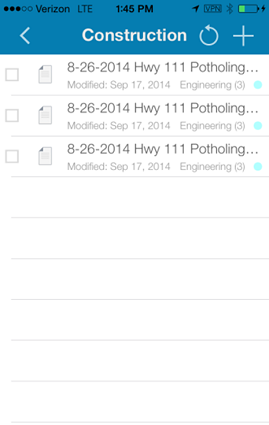 Now, once a work order is generated, it is automatically scanned into Laserfiche. 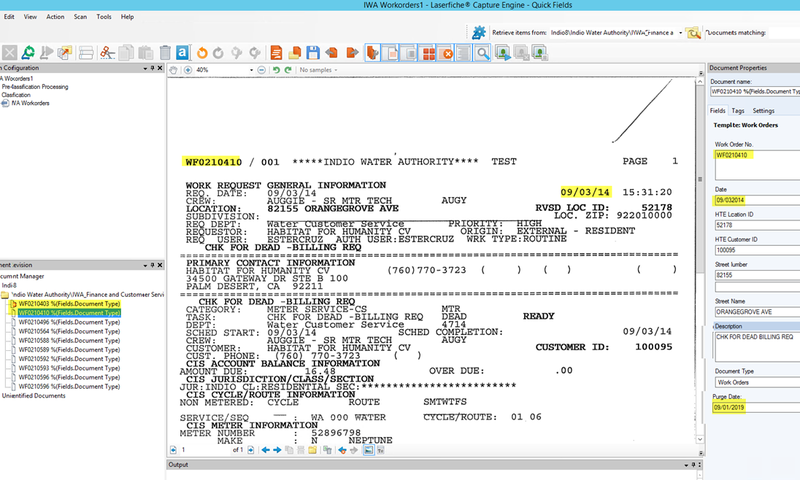 From there, it is processed with Laserfiche Quick Fields, which uses the Zone OCR process to retrieve key pieces of information, such as the Work Order Number, to populate metadata. 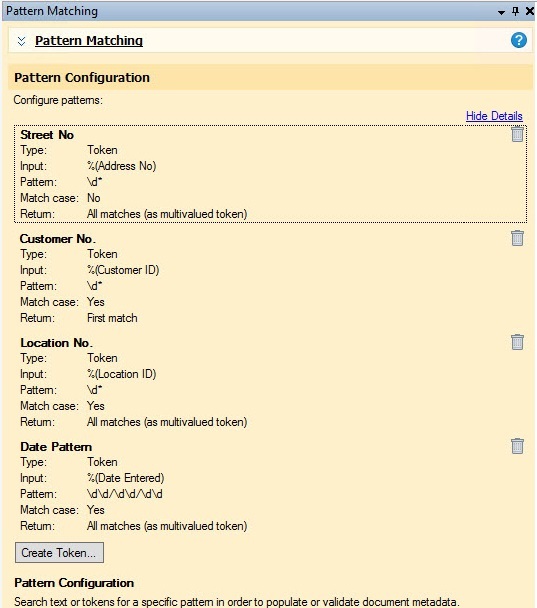 The Pattern Matching process is used to make sure that the right Work Order Number is pulled from the document. A Work Order Number is added to the file name of the work order, which allows it to be routed to the appropriate folder by month and year. Take pictures out in the field with his iPhone. Email the pictures to himself. Wait to get back in the office before placing the pictures on the network shared drive. 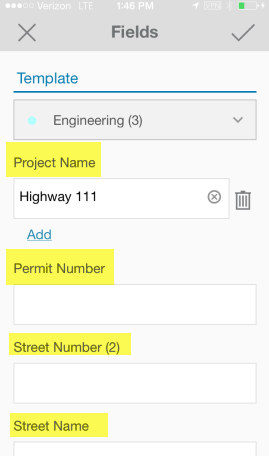 Rename each picture to include information such as project name, permit number and address in the file name. The inspector takes pictures using the Laserfiche Mobile app. 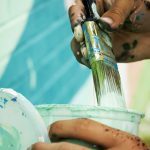 The inspector selects the correct document template to add to the pictures and uses the iPhone’s speech-to-text feature to enter the correct metadata. The picture is automatically saved in Laserfiche with the correct file naming convention. Inspectors save approximately 10 minutes of time when they save CIP inspection photos because they can now upload these photos directly from the field instead of returning to the office to transfer everything over to the shared drive. This makes the images available to everyone faster. Work orders can be accessed immediately with a simple search. Employees no longer spend 20% of their time filing and searching for them. Your organization’s business processes can’t come to a standstill just because key employees are on the road. 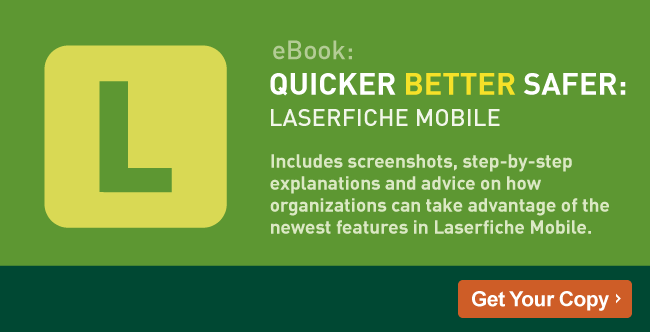 Learn how Laserfiche Mobile can streamline your organizations business processes in this free eBook: Quicker Better Safer: Laserfiche Mobile.